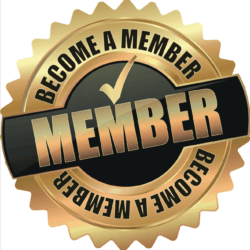 Competent and Credible Lay Evidence Gives Your VA Claim WINGS! I promise this post is about competent and credible lay evidence. But let me start with a story. That got me thinking: competent and credible lay evidence in a VA claim is like red-bull and vodka was to my friend: It will give you wings. 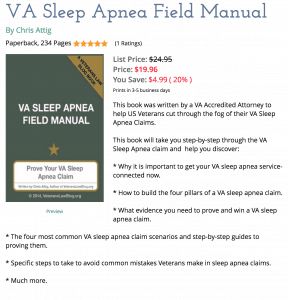 Why doesn’t everyone use MORE Lay Evidence in their VA Claims? 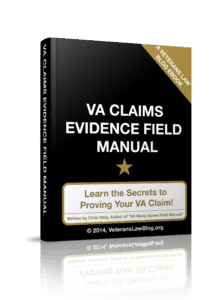 This Veteran Learned How POWERFUL Competent and Credible Lay Evidence Can Be in a VA Claim. You combat vets are going to love this story. The veteran in this CAVC appeal was injured in a “horse-play” incident – a fellow soldier punched him in the shoulder numerous times with a closed fist. The veteran believed this injury was what caused his shoulder disability. Okay, combat vets, grumble away – you’re struggling to get service connected for a gunshot wound or TBI, and this guy likely just won his claim for getting hurt playing “Two-For-Flinching”? Ignore that for a moment…focus on what I am going to tell you now. There was NO evidence of treatment for his injury in service. The veteran gave a plausible reason why there was no evidence of treatment:the vet was about to go home and didn’t want to be held over for medical reasons. That makes sense, doesn’t it? How many Vietnam veterans hid an injury to avoid medical treatment that might extend their DEROS (Date Eligible to Return from Overseas Service) and require them to be away from home that much longer? I was the same way – I couldn’t get out of the Army fast enough; I was excited about the civilian life ahead of me, and talking about the things that happened wasn’t something I was going to slow me down. So you have a veteran with a shoulder injury, and a plausible reason for no medical treatment. He alone testified to what happened, using “lay testimony.” And the BVA found him to be a competent and credible witness, and accepting his explanation. Should have been enough right? No, but not because the veteran did anything wrong. Even though he gave credible & competent testimony as to the reason he did not seek treatment for his in-service injury, and even though his testimony as to the in-service incident (the “horseplay” game with other soldiers), the C&P examiner found that there was “no evidence” of a service treatment record for an injury of this nature. What did the C&P Examiner say? He said (in effect if not in actual words) that the reason he couldn’t service connect was because there wasn’t in-service medical treatment — even though the veteran explained with competent and credible lay evidence (his own testimony) why there was no record of in-service medical treatment. 1) The absence of evidence is not NEGATIVE evidence. Just because you can’t prove that something happened does not – in a VA claim – mean it didn’t happen. 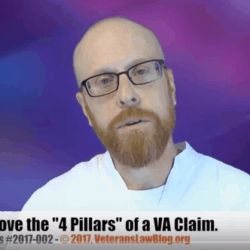 2) If you offer 5-Star Lay Evidence – probative, material, and relevant evidence that is competent and credible lay evidence – the VA MUST consider it. 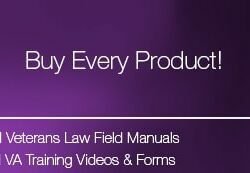 Bottom Line: If you are missing proof in your VA Claim, Get Competent and Credible Lay Evidence. If you don’t have evidence that something happened in-service, fill the “gap” with competent and credible Lay Evidence. Like the Veteran in this case, it will give your VA Claim “wings”.